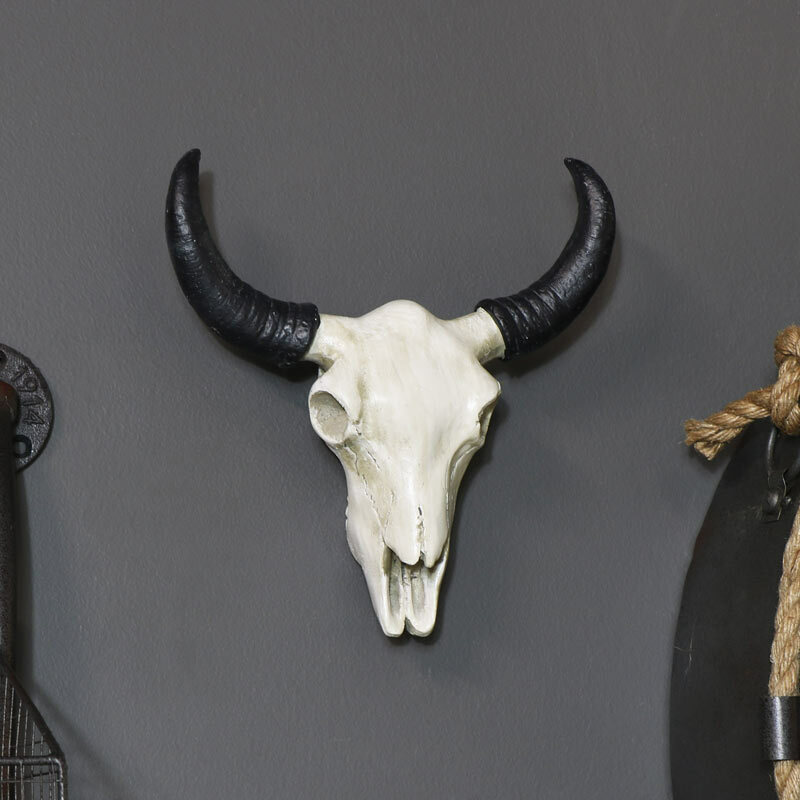 If you really would like a statement piece on your wall why not add this fantastic Rustic Buffalo Skull Wall Art. It really will catch the eyes of your visitors and will make for a great conversation piece. This quirky buffalo will look great on the wall of your living room, hallway or bedroom. 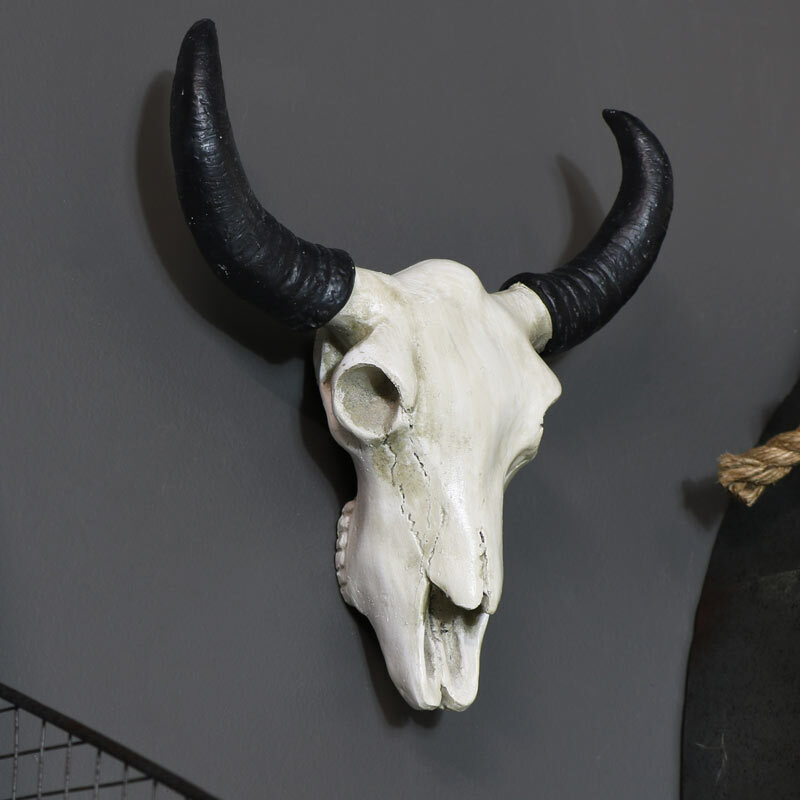 This wall mounted skull is a great addition to our growing range of trophy heads, all animal friendly of course. Made from resin in a distressed white finish to give the look of age and wear with black horns. Easily wall mounted with a hole in the back for attaching to a hook (not included).